Another night, another plush post! Following Coco and Incredibles 2, this is the last group of recent Disney Store plush I've had for a while meaning to review. 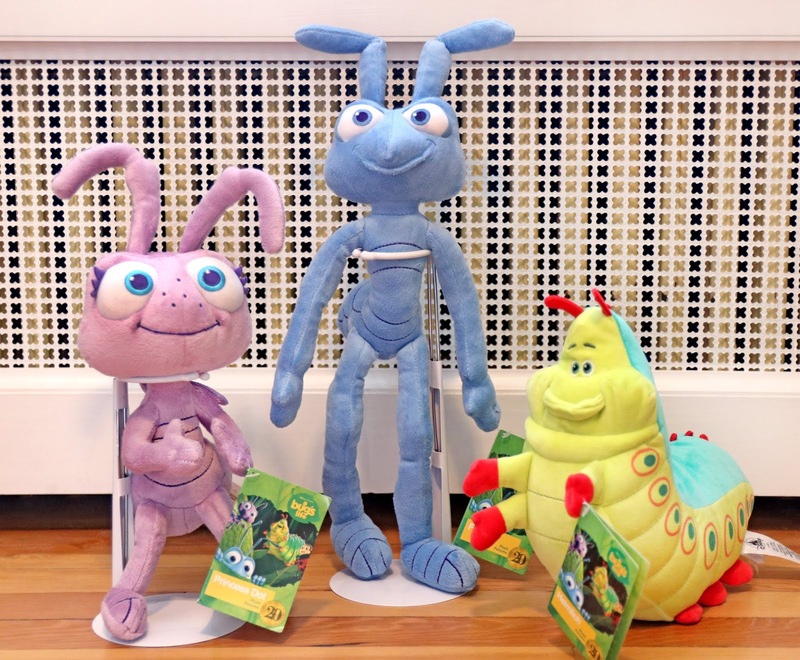 Released just this past fall, in celebration of the film's 20th anniversary, here we have three adorable A Bug's Life plush featuring Flik, Dot and (my personal favorite character) Heimlich! 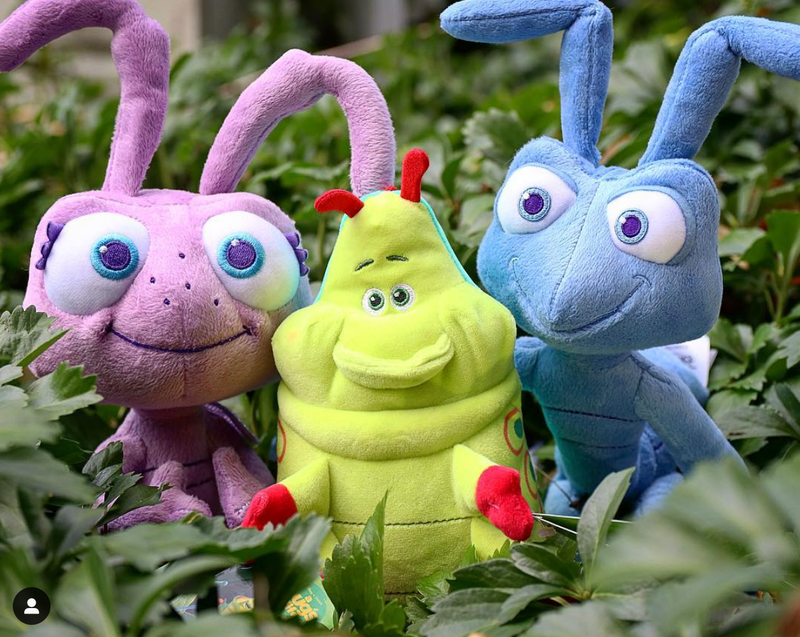 I was so happy to see Pixar's most underrated film get some recent love...you NEVER see A Bug's Life stuff anymore (well, thanks to BoxLunch Gifts, there has been a bit more these days than usual). I was afraid this anniversary would come and go without any recognition at the Disney Store, but they came through. I almost didn't pick these up (given that I already have all these characters in plush form from the original 1998 Disney Store mini bean bag collection), but then I figured these were bigger, better/improved and different enough to justify! Plus how could I not support the 20th anniversary of this film. So of course I got them, why did I even question it. All three of these are part of the Disney Store's "small core plush" category and retail for $14.95 each (but right now they're all on sale for only $10, so hurry!!). Flik is 18'' H (incl. antennae), Dot is 14'' H (incl. 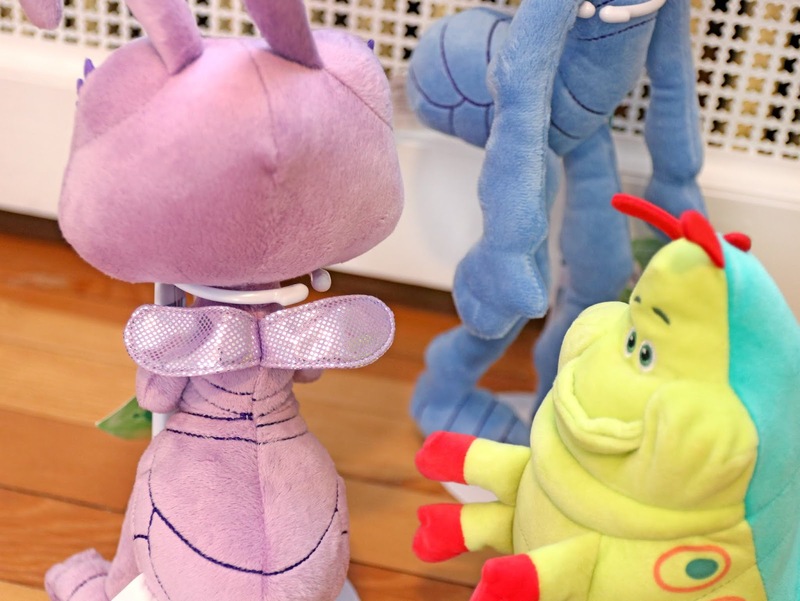 antennae) and Heimlich is 10'' H x 13'' L.
They all look great and have really nice likenesses/detailing. Love Dot's little shiny wings! Solid and well made plush all around as usual. The actual anniversary of the film was on November 25th and I meant to get this post up clear back then. Oops! I even posted the below photo on Instagram prepping for it, but things got real busy. Oh well—at least I'm not quite as late this time as I have been recently. Luckily they're all still in stock online HERE and should also be available at your local Disney Store if you'd like to snag these in person. What are you thoughts? 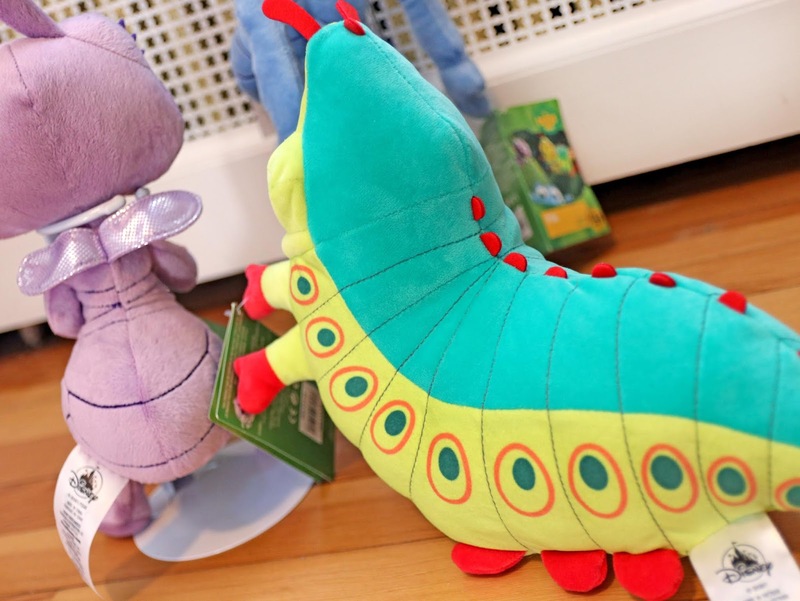 Did you pick up these cute bugs for your collection? Who's your fave? Shout it all out down below!